NASA is stepping up efforts to explore and exploit the moon after it announced the contracts for a series of lunar landers and rovers. 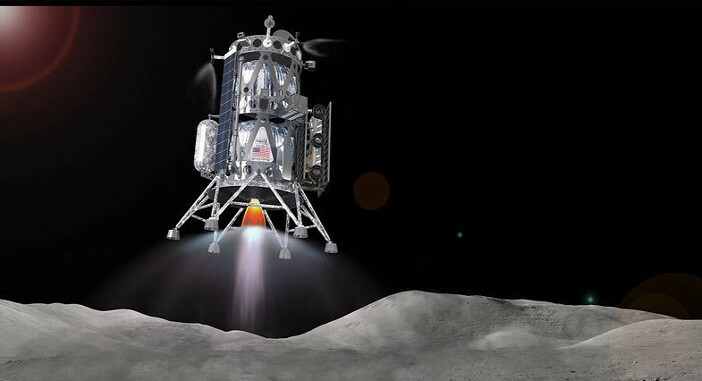 Nine companies from the USA will move forward with testing then operating lunar landers and rovers under a series of contracts from the Commercial Lunar Payload Services (CLPS) program during the next 10 years. The contracts have a combined maximum value of US$2.6bn. NASA wants to be able to regularly send instruments, experiments and other small payloads to the moon and wants to kickstart the creation of a private market to provide these services. Lunar payloads could fly on the first contracted missions as early as next year, said the space agency. The CLPS, which was first announced in April 2018, is being run by NASA Headquarter’s Science Mission Directorate. The space agency sees the program as “one of the first steps toward long-term scientific study and human exploration of the moon and eventually Mars”. NASA Administrator Jim Bridenstine said, “Today’s announcement marks tangible progress in America’s return to the moon’s surface to stay. The nine companies will be able to bid on delivering science and technology payloads for NASA, including payload integration and operations, launching from Earth and landing on the surface of the moon. The agency said it will look at a number of factors when comparing the bids, such as technical feasibility, price and schedule. The private market will be re-examined periodically by NASA to encourage new and emerging lunar delivery capabilities. Shortlisted-company Intuitive Machines is developing its Nova-C landers at the Houston Spaceport at Ellington Airport, Texas. The company is aiming for a mid-2021 delivery of the first scientific and commercial payloads to the moon by Nova-C. The Nova-C landers are launched on rockets outfitted with fairings 3m or 5m (10ft or 16ft) in diameter and can also release small satellites into lunar orbit prior to landing.